It is important to know how to understand an illusion. As we have seen, it is very important to understand an illusion, but you need some know-how to figure it out. Let me explain. Please take a look at the picture below. This is a three-dimensional object, which you are looking down from above. 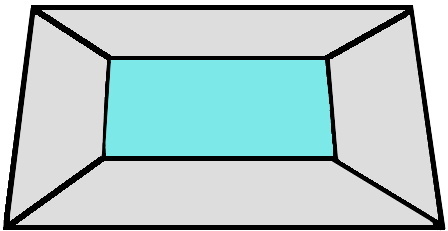 Do you see whether the blue part is sticking out or drawing back?